Tim Sinclair is founder and CEO of RingR. Before founding RingR, Tim had an established career in broadcast radio. The idea for RingR grew out of Tim’s frustrations with trying to get high-quality recorded audio for interviews conducted electronically using the telephone or Skype. For such interviews, the host can produce a high-quality recording on one end, but if the guests do not have good recording equipment on their end, the audio quality for the guests’ recording is often low. If the host records the guests from the telephone, audio quality is generally low. If the host records the guests from Skype, internet artifacts such as warble and drop out often occur. Tim conceived RingR as a way to get high-quality, recorded audio for all parties by recording each person’s audio locally on a smartphone, transmitting the data to a server, and syncing the audio files together. In the end, host and guest sound as good as the local recording. RingR has come out of beta, and I wanted to get the story from Tim of how he developed the product and stood the company up. On the website, click any timestamp to start listening to the episode at the noted location. Please see Disclosure* (below transcript) concerning affiliate links on this page. Full episode transcript follows Resources Mentioned. Amazon Web Services (AWS) – According to the website: “Amazon Web Services (AWS) is a secure cloud services platform, offering compute power, database storage, content delivery and other functionality to help businesses scale and grow.” Tim Sinclair discusses RingR’s positive experience with AWS starting at [spp-timestamp time=”30:00″]. AWS has a free tier that may not be exactly what Tim describes in the episode [spp-timestamp time=”31:46″] but seems like a reasonable option to explore. Apple EarPods* – EarPods are my favorite in-ear listening and speaking device for iPhone. EarPods do not close the ear canal and allow you to listen to your surrounding environment while talking and listening. I do not know if they work with Andriod phones since the jack has four bands (left ear, right ear, microphone, and common). EarPods are mentioned in this episode as a good interface for recording on an iPhone using RingR. Listen at [spp-timestamp time=”04:50″] for discussion. Love Does* – This book by Bob Goff is about showing love in remarkable ways. It was mentioned by Tim Sinclair in this episode. Tim takes inspiration from this book about how to interact with his customers. Listen to the discussion starting at [spp-timestamp time=”43:06″]. Ocean Accelerator – Tim Sinclair is a graduate of the inaugural class of the Ocean Accelerator. Ocean is a faith-based accelerator providing seed funding, mentors, legal assistance, a well-attended demo day, a 5-month curriculum focused on founders first and business second, and more. For Tim’s story with Ocean in this episode, begin listening at [spp-timestamp time=”19:10″]. Ocean will be featured in an upcoming episode (tentatively 017). Serra Ventures – According to their website: “Serra Ventures is an early stage venture capital firm investing in technology companies in emerging Midwest technology centers and selected other geographies. Sectors we focus on include information technology, devices/instrumentation and agricultural technologies.” In this episode, Tim Sinclair discusses obtaining his original funding from Serra Ventures. Listen starting at [spp-timestamp time=”11:50″] for the story. Tim Sinclair at RingR – Tim is the founder and CEO of RingR. For a short bio, listen to the introduction at [spp-timestamp time=”02:16″]. For an invitation to connect, listen at [spp-timestamp time=”45:14″]. [spp-timestamp time=”00:00″] Ron Gaver: This is SaaS Business Podcast episode 15, an interview with Tim Sinclair. [spp-timestamp time=”00:19″] Tim Sinclair: Surprise, I believe, is the key to most every emotion. Great horror movies are great because of suspense and surprise. Great comedians—it’s all about timing and saying something at a time that nobody expected. They don’t see it coming. They’re surprised and—boom—all of a sudden they’re laughing out loud because they didn’t see that coming. And for us—I think—when we surprise a customer, a user, with a great experience or with something that we say or that we do, not only is it a good feeling for them and a good experience for them (and it endears them to RingR), but it’s something they’re more likely to share with other people, and like I said earlier, that’s going to be our best marketing ever. [spp-timestamp time=”01:06″] Ron Gaver: Hello, welcome to the show. I’m your host, Ron Gaver. Thank you for listening. This is the podcast designed to help you put the pieces of the puzzle together to start, grow, and succeed in your SaaS business. Before we get started with the show, I would like to invite you to visit the podcast website. The URL is SaaSBusinessPodcast.com (that’s S-a-a-S, SaaS with two a’s business podcast dot com). On the website, the most important thing to do is to sign up to get your copy of the current, free download. This will also put you on the list for future free downloads and updates. For your convenience, there’s also a page on the website for each episode where you will find show notes for the episode. The show notes will contain links to resources mentioned in the episode. Just enter the base URL, a forward slash, and the three-digit episode number. If you enjoy this podcast and find the content to be valuable, please consider giving us a five-star rating on iTunes, Stitcher, or wherever you listen to podcasts. Five-star ratings help the show stay visible so that new listeners can easily find us. [spp-timestamp time=”02:16″] [Intro – See top of page for text.] Welcome, Tim. [spp-timestamp time=”03:18″] Tim Sinclair: Hey, thank you, Ron. I appreciate the opportunity to be on the show. It really means a lot. [spp-timestamp time=”03:21″] Ron Gaver: Glad to have you on. Let’s start out with the problem you originally identified and how you came to the point of wanting to develop RingR. [spp-timestamp time=”03:30″] Tim Sinclair: I’ve spent 18 years in radio, hosting shows, working the production room, did literally thousands of interviews, and really got tired of that stereotypical, telephone-interview sound (sounds like you’re in a tin can or on the moon or whatever). And you know, even Skype—now that some have gone to using Skype and recording those calls for interviews—you still get that warble and drop out and internet artifacting stuff in the calls. And so, I had a friend who’s in the industry who’s one of the artists we played at the radio station I worked at, and I just sent him an e-mail and said, “Dave, answer these questions, record it into the voice memos app of your iPhone and then send me the file. I’ll see if that’s something I can use on the air, and he did it, and it sounded unbelievable. And so, I began to think, “What if we could actually have a phone conversation and his device would record him while we talked like that?” And then I went, “Well, if we can get the phone to do that, then we could get my phone to do the exact same thing, and we’ll just piece the two perfect-sounding audio files together on the other end and sound like we’re in the same room having a conversation rather than in different parts of the world.” And so, that little idea is really what turned into RingR and what led us to the products we have today. [spp-timestamp time=”04:43″] Ron Gaver: Originally, then, this started out with you manually piecing together a couple of files or streams from you and a guest and then trying to automate the process. [spp-timestamp time=”04:50″] Tim Sinclair: Yeah, correct. People have been doing this in the radio and podcasting world for quite some time. It’s called a double-ender. Basically, you record on each end and then somebody has to somehow send one file to the other person, so you can do it on reel-to-reel back in the day or put in into some sort of digital file, and do all that. And what we wanted to do was kind of two-fold: (1) automate the process, but (2) make it possible with mobile, because while most podcast hosts and radio hosts have a studio they use, most guests do not. They have to somehow jerry-rig some microphone/computer combination on Skype or whatever on their end, and find a place to record. So we thought if we can (1) automate the process and (2) make it mobile so that all you really have to do is really have a phone conversation, all you need is your smartphone or your tablet, and you can plug in your EarPods or just hold the phone up to your face like you normally would. That would be ideal, especially for the guest, because then they don’t have to create an account for anything. They don’t have to sign up on Skype, try to find a microphone, sit in a room that’s not echoey—you know all those things that you want for a good-sounding conversation. The phone does all that work for you. The mic is good. It’s a unidirectional mic. It blocks out background noise. Everybody knows proper mic technique when it comes to a phone call: hold it to your face. That’s it. Same thing with EarPods. They automatically keep that mic just a few inches from their mouth. We try to combine all of that into one product. [spp-timestamp time=”06:15″] Ron Gaver: The double-ender, for those who may not know, is where two parties at separate locations each record their end of a conversation and then someone later syncs the two recordings together. [spp-timestamp time=”06:25″] Tim Sinclair: Correct. [spp-timestamp time=”06:26″] Ron Gaver: And usually, there’s some sync signal; some sound. People will sometimes clap or snap their fingers. I’ve even heard of people singing “Happy Birthday” together to sync up. That’s a double-ender. You’ve basically perfected the double-ender electronically. [spp-timestamp time=”06:40″] Tim Sinclair: That’s been the goal, yeah for sure, … to allow you to record without really any equipment or any studios, and then put those two files together on the back-end and provide you with something that you can easily use or edit and get into a podcast or broadcast. [spp-timestamp time=”06:54″] Ron Gaver: You’ve envisioned this for podcasting and broadcasting. Do you have other applications in mind as well? [spp-timestamp time=”06:59″] Tim Sinclair: Those were our first two obvious choices for markets to go into, but we’ve talked with lawyers who need to do long-distance depositions even some doctors who need to do medical consultations. There are some job interview possibilities: if you want to save the job interview for transcription or you want to share with your boss or with your team, so they can be in on the interview you just did and hear more of what the person had to say who might be interviewing for a job. There’s all sorts of audio collection services that are trying to put together either stories of your life or to get audio for video. I mean there’s …. Seems like every day, we find a new potential use for what we’re doing, and it’s exciting to watch that market expand. [spp-timestamp time=”07:40″] Ron Gaver: Currently, the front-end recording device for RingR is either an iPhone or an Android phone. [spp-timestamp time=”07:45″] Tim Sinclair: Correct. [spp-timestamp time=”07:46″] Ron Gaver: And you’re moving into a browser-based RingR system? [spp-timestamp time=”07:49″] Tim Sinclair: Yeah, it won’t necessarily be browser-based, but it will be available on your desktop or laptop. We’re fooling around with a couple potential things right now. We’re hoping in three or four weeks to begin beta testing, and it would allow you to login to your RingR account and launch a call from there. And it will allow your guest to just follow a simple link in an e-mail on their computer and start the call from there. [spp-timestamp time=”08:13″] Ron Gaver: So, in that implementation, the guest just needs to follow a link to start the call. When guests use an iPhone or an Android, they also have to download the app. [spp-timestamp time=”08:22″] Tim Sinclair: Correct. They do not have to sign up. They do not have to create an account or give their e-mail address or any of that kind of stuff. They literally just have to have the app on their phone, and then they tap a code in the e-mail invitation that you send them and that automatically—much like a conference call would today—jumps them right into the call, and once you’re both there, you start recording. [spp-timestamp time=”08:40″] Ron Gaver: That’s what RingR is. We’ve talked a little bit about how you got the idea. Next phase: you’ve got an idea. How did you start to get the idea developed? What was your first step? [spp-timestamp time=”08:51″] Tim Sinclair: I knew, not being a technical guy, that I wasn’t the one to try to code anything or put this together. I really have no experience in that realm and figured that I had to find some people with some app development, and probably audio experience, in order to make this happen. And I talked with a number of people. It’s kind of an idea that was rolling around my head for a couple of years and I would mention it to a friend, or whoever, over time that I thought might know something, and they all thought, “Man, that sounds like a cool idea, but I don’t really know how to do it.” It got left at that. About 18 months ago, I was having lunch with another friend, and he had just started a company with a couple of his friends, and I knew it was app based. And I said, “What do you think of this?” And he goes, “We can do that.” I kind of looked up from my food and went, “Really?” He said, “The two guys I’m working with, Kris and Dan, have their PhDs in computer science with an audio and media focus. This would be like a dream-come-true kind of project for them.” And so, we started talking, and they got excited about it, and the rest is kind of history. They gave me the bill—what it would cost. That was the next major potential stumbling block for us, but we took it to a venture capital group locally who was very interested in the project, and they jumped on board pretty quickly, and we’ve been moving forward ever since. [spp-timestamp time=”10:07″] Ron Gaver: On your website, you show four team members, yourself, Chad, Kris, and Dan. You went to one of those guys with the idea. Was it Chad? [spp-timestamp time=”10:16″] Tim Sinclair: Yes, it was. [spp-timestamp time=”10:17″] Ron Gaver: And he’s the one who said, “We can do it”? [spp-timestamp time=”10:20″] Tim Sinclair: He is. I don’t think he regrets it. [spp-timestamp time=”10:23″] Ron Gaver: Good. And how long did it take to get from, “Gee, I’ve got this idea, and I think it’s really cool,” and you started talking it up, until you got it to Chad and he said, “Hey, yeah, we can do that”? [spp-timestamp time=”10:36″] Tim Sinclair: Well, it probably was rolling around in my head for two years, maybe three, of this should be doable, but I had enough other things on my plate, and it wasn’t anything I wanted to invest a whole lot of time or energy in, and so, it just would come up once every four or five months when I was talking to a friend who is in the tech space and that was about it. And it was sort of that time, again, when I met with Chad. It was May of 2014, and he said, “We can do that.” And by the next week, I had the quote from his company as to what it would cost to get going. So, I took that to this venture capital group. I made a phone call to them on Thursday, we met on Friday, they offered money on Monday, and by the end of that month we were incorporated, we were funded, and we were starting to develop the product. [spp-timestamp time=”11:21″] Ron Gaver: That doesn’t sound like the normal startup experience. [spp-timestamp time=”11:25″] Tim Sinclair: It is not—I have learned. I didn’t know any better. I was too dumb to realize it, but I have talked with many in this field, and no, it is very, very unusual. [spp-timestamp time=”11:34″] Ron Gaver: You were very fortunate to find Chad, and Chad was hooked up with a couple of stellar developers. You made a call to a venture capital group on a Thursday and had funding on the following Monday. Did you already know this venture capital group? [spp-timestamp time=”11:50″] Tim Sinclair: I didn’t. I hadn’t even thought about what it would cost to do this until I got the bill from them. So then … I called a guy who I’ve known for years. He’s kind of like a father figure (in terms of age, at least) and said, “You’re the best business guy I know. What do I do here?” And he said, “Well, I invest with Serra Ventures in Champaign. You should at least give them a call. They almost always want a product and some proof that it works, but you can at least share your idea, and they can give you some help.” And I said, “Okay, I might as well do that.” So, that afternoon, [which] was Thursday, I called them, and they called back Thursday night, and we set up the meeting for the next day. They said, “Bring your business plan.” I didn’t have a business plan. I didn’t have a name. I had nothing, so I opened up Google Docs and made a bunch of stuff up. I mean, it was fairly accurate, but I didn’t know what I was doing. I made up the name RingR. And I walked in there as if I knew what I was doing, and Halfway through the meeting, the guy I was talking to said, “Rob, come in! You gotta hear this!” And so then, I’m talking with two of the partners of the firm, and on Monday morning, I got an e-mail from them offering basically some starting capital to get going, and I said, “Sure, why not?” I had no idea what I was getting into. And … like I said, we incorporated, we got things squared away with Chad and Kris and Dan, and started development pretty much right way. [spp-timestamp time=”13:08″] Ron Gaver: Did you even take Chad or Kris or Dan with you to that meeting, or was it just you solo? [spp-timestamp time=”13:13″] Tim Sinclair: No, it was just me. Chad is local, but the other two guys don’t live in the same state. In fact, one of them doesn’t even live in the same country. Kris is our CTO; he’s based out of the UK. And Dan is in Virginia, and then Chad and I are in Illinois. I went to the meeting solo. Again, I had no idea what I was doing, but whatever it was worked and at least 18 months later we’re still here. [spp-timestamp time=”13:36″] Ron Gaver: That’s a great story. [spp-timestamp time=”13:38″] Tim Sinclair: Yeah, it’s (again) unusual and you know any entrepreneur that I [tell] I called Thursday, met Friday, had money on Monday, pretty much chokes and then wants to kill me because that’s just not how it goes, but for whatever reason, it was orchestrated that way, and we were in the right place at the right time. These guys felt confident in my ability to sell the product [and] my industry knowledge, and the idea was innovative enough and new enough with very little, if any, competition in the space that they decided to take a chance. [spp-timestamp time=”14:06″] Ron Gaver: So, you had an idea. For about two years it’s rolling around in your head. Was it one of those ideas you just couldn’t let go of? Was it one where you’re driving down the road thinking about it day-in and day-out and just couldn’t let it go, or was it just something that surfaced every now and then? [spp-timestamp time=”14:22″] Tim Sinclair: No, it was one of those things that would come back quite often to me, and I’m kind of entrepreneurial, in that I always feel I’ve got a good idea rolling around in there somewhere, but either I try and it doesn’t work or I just forget about it. This was one of those things where I’m like, “This has got to work, there’s no reason that this could not happen.” And I think it would be big. I could see lots of different potential applications for it, so I couldn’t shake it, but I didn’t know what to do with it either, and finally, I sat down to lunch with the right person who at least started the dominoes, and we’ve been moving forward since that point. [spp-timestamp time=”14:54″] Ron Gaver: So, you had an idea then you just came into this great development team—a UX guy and two Ph.D. developers who just happen to specialize in audio and digital media. They’ve got a company, give you the bill, or at least give you the price tag, and then you go and get the money. You’ve got money. What happens next? [spp-timestamp time=”15:13″] Tim Sinclair: Well, that was sort of the honeymoon period. I was still working in radio. I had a full-time job, and I was working with these guys who had several other clients. And so, we were kind of all working in a very part-time capacity—although I wasn’t getting paid—but we were all working in a part-time capacity on putting this thing together. And it wasn’t until December of 2014—late November maybe—that I realized, “I think I’m going to need to quit my job and jump into this thing full-time.” At least, that’s my hope, and I quit my job, not knowing exactly what was going to happen. We didn’t really have the money for me to go full-time, but I just felt it was the right thing to do. And Wednesday before Thanksgiving it was that we announced to the staff that my co-host and I would be leaving the morning show we’d been hosting for about eight years, and on Monday, so just a few days later, I got a call from Ocean, a business accelerator in Cincinnati that we had applied for and had heard about us, and said, “Hey, do you want to come? We’d love to have you be a part of our inaugural class.” So, after a couple of days, I accepted, and it just so happened that my last day with the radio station was January 2nd, and that was a Friday. The first day of the Ocean class was January 5th, which was a Monday, and so, I missed no time. It was a seamless transition. I moved 250 miles away in that weekend and literally sort of began my full-time endeavors into RingR that day. [spp-timestamp time=”16:40″] Ron Gaver: There’s another beautiful domino that fell into place. [spp-timestamp time=”16:44″] Tim Sinclair: Yes. [spp-timestamp time=”16:45″] Ron Gaver: Ocean just happened to be there at the right time. [spp-timestamp time=”16:48″] Tim Sinclair: Yeah, they were. [spp-timestamp time=”16:50″] Ron Gaver: Looking back on this, doesn’t it amaze you that all of these things fell into place? Or does it just sound like they fell into place a little bit better because you’re looking back and telling the story? [spp-timestamp time=”17:01″] Tim Sinclair: No, … sometimes we look at the past through rose-colored glasses and we go, “Ah, wasn’t that nice.” But this was one of those things that, at the time, I’m realizing as it’s happening that this is pretty remarkable. I’m well aware that when you quit a job with no plan and then the very next work day you find out the plan that you didn’t know was coming and then that plan happens to involve you missing absolutely zero time at work—because one ends on a Friday, the next one starts on a Monday—[that] … all those things were coming together perfectly. However, as I was driving to Cincinnati, I had 88 cents in the RingR bank account. We knew that some investment was coming from Ocean, the accelerator. We were hoping that more was coming from some other investors, but none of that was guaranteed, but I just felt like every step was kind of being laid out for me, and I was just going to have to trust that this was the right thing to do. Although, you look at 88 cents, and you go, “I’m an idiot.” But it has certainly worked out for the best, despite the (I call it) exhilarating terror: it’s a whole lot of fun, but it’s really, really scary. But I wouldn’t have it any other way. I love it. [spp-timestamp time=”18:10″] Ron Gaver: When you first started, Chad, Kris, and Dan had a company. Are they still operating that company, and that company works with RingR, or are they now full-time RingR employees? [spp-timestamp time=”18:20″] Tim Sinclair: Yeah, they started out at about 40% with us and then for the last nine months we bumped them up to 90%, so it’s been nearly full-time. Pretty much all of their time as a company has been spent with RingR, but they’ve never been actual employees with benefits and things like that. We are going to ramp our tech development back a little bit in 2016 now and focus more on sales and marketing. We do have, as you mentioned earlier, the desktop, and we have some conference call functionality coming, but once that’s done, we’re really going to focus on supporting what we have, refining what we have, trying to make it the absolute best product possible, … not really do a whole lot of forward-thinking development for the next 12 to 18 months, and really focus on selling and marketing what we feel like is a great product already. [spp-timestamp time=”19:10″] Ron Gaver: The accelerator, Ocean: what was your experience working with them? [spp-timestamp time=”19:14″] Tim Sinclair: I had no idea what to expect, but I loved it. It’s the nation’s first and only—I think the world’s first and only—faith-based accelerator, so not only do they focus on the product and the business and the customers and all those kinds of things, but they focus on the founders as people and who we are, why we do what we do, what we believe. What does it mean to be a creator and a founder? What does it mean to do things the right way and with the right heart? How does that impact your business? And that was fantastic for me. I really enjoyed the experience. It was kind of business boot camp and a chance to develop our pitch to investors, to actually pitch to a roomful of investors, and to make connections with all sorts of different people—legal and marketing and design. Literally, everything was opened up to us, and we just had to take advantage of what we needed for our business, and I really enjoyed the experience. [spp-timestamp time=”20:09″] Ron Gaver: It sounds like you feel that they truly brought value into the process for you. [spp-timestamp time=”20:14″] Tim Sinclair: They did. Certainly, the money they invested was nice. It wasn’t gigantic, but it was helpful, but I think even without that, it proved to be a very valuable experience. Several of our key investors have come as a result of that. Several of our legal team have come as a result of being at Ocean. Our marketing and sales folks, who are just getting ramped up now, are from Cincinnati. I met several mentors [who are] from that area and came through the Ocean program. I can’t say enough good stuff about what it did for us in getting started. [spp-timestamp time=”20:47″] Ron Gaver: Did they really roll up their sleeves and jump in with you? [spp-timestamp time=”20:50″] Tim Sinclair: Yeah, they did. You know early on, the first six weeks was really, “Okay, we’re going to teach you what business is, what the startup life is like, what a venture-backed business has to do. We’re going to work on refining your product, product market fit, testing, interacting with your customers or your future customers, design, how do you want to share yourself with the world, what kind of voice do you want to speak in.” Then things like, how do you set up a board, where do you go for investments, are you an LLC, are you a C corp? You know, we had to go through all that kind of stuff. Most of it was due to me—not all of it—but that was a really helpful base for me to stand on, and then once we got through that, it was, “Okay, let’s make some decisions about the product, and let’s figure out the story we want to tell investors about how they can play a part in what we’re doing.” And so, the next six weeks were spent on putting the pitch together, refining that, and it sort of culminated last April with the chance to stand in front of about 1,500 people who were there for our demo day. Another 1,500 or so, I think, were watching online and really gave us the opportunity to share what we’re doing with a bunch of people who cared and some of the people who had some money that they could potentially invest. [spp-timestamp time=”22:05″] Ron Gaver: So, did the whole process with Ocean start in January and end with demo day in April? [spp-timestamp time=”22:11″] Tim Sinclair: It actually ended in June. The last six weeks were kind of: “Okay, now that you’ve pitched and have talked with investors, now what? Do you need to pivot? Do you need to continue the course? Do you need to wrap up some deals with financing? How do you want to proceed from here?” It was a lot lighter workload at the accelerator, but, officially, we all graduated in late June. [spp-timestamp time=”22:33″] Ron Gaver: That was their inaugural class? [spp-timestamp time=”22:34″] Tim Sinclair: Correct. Yep, very first one. [spp-timestamp time=”22:37″] Ron Gaver: Were they kind of feeling their way into it as well, and you guys were—for lack of a better term—“guinea pigs,” or do you feel like they were spot-on and hitting it on all cylinders? [spp-timestamp time=”22:49″] Tim Sinclair: Yeah, I would say they were hitting on most cylinders, and we joked all the time that we’re all startups, Ocean included. They were a startup, but they had a lot of their ducks in a row, and obviously, there are a few things that we could have done differently, and I’m sure they are with the class that just started. But Scott Weiss is leading the program. He’s the former CEO of Evenflo, the baby product company. He’s worked all over the world for some gigantic companies, and now, he’s really devoting his life to investing in young entrepreneurs and some older ones, including myself. His heart is in the right place, his knowledge is unsurpassed, and they’ve done a fantastic job of collecting some great companies and watching them grow. [spp-timestamp time=”23:30″] Ron Gaver: You said that Ocean is a faith-based accelerator. What does that mean exactly? You said that they focus on the person, the entrepreneur, and not just on the technical aspects of the business. What did they do? How did Ocean come about? 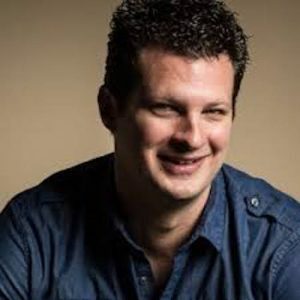 [spp-timestamp time=”23:44″] Tim Sinclair: It was formed, actually, at a church named Crossroads in Cincinnati—giant megachurch, 20-25,000 people—and they have a group that have been meeting for a number of years called “Unpolished,” which was just for entrepreneurs and start-ups and people who were interested in that kind of life, who either went to the church or were from the community—didn’t really matter. They had two, three, four hundred people who met once a month and out of that group, four or five decided, “You know what, we could do something bigger than just meet and talk about it. Let’s start an accelerator and see if we can do something a little different here.” And so, the church doesn’t own or run Ocean, but it sort of sponsored and sanctioned this group to go out and start the accelerator. And there was no requirement whatsoever that you be of a certain faith or have any sort of certain experiences or beliefs. They just asked that you be willing to explore faith as a whole and how that related to you and how you run your business. In addition to classes that we had about business, once or twice a week we would meet for 45 minutes or an hour and discuss faith—how it had shaped us as people, how it was shaping our businesses, what we could learn from others, what we could learn from Jesus, what we could learn from the Creation story about how we do what we do, why we do what we do, and how that impacts the ultimate product and result. And I found it fascinating. I’ve spent a lot of my career in a faith kind of environment, and I by no means, have felt like I knew it all or had it all together. I was constantly learning from everybody there—fellow classmates and those who were there to help teach us and talk us through things. Nobody was shoving anything down anybody’s throat. It was just, “Hey, let’s explore this together and investigate,” and it was fantastic. [spp-timestamp time=”25:27″] Ron Gaver: At the end of June, you completed the Ocean program. Where were you with RingR development then, and what have you done since? [spp-timestamp time=”25:34″] Tim Sinclair: Yeah, we had really just sort of finished releasing the Android beta—iPhone beta had been out since January—and so we knew that we had to do some refinements and really get both of those apps to a place where we could charge for them. We still had this open beta, and we were listening and trying to find out as much as we could about the product and how it was being used and what was working and not working. But we also knew that we had to have the framework in place to handle the desktop piece, the conference calling piece, the ability to pay for subscriptions through iTunes or through Google Play or through our website, and put all that into place, so much of the second half of 2015 was trying to put all of that into one app—we called it 2.0—but it didn’t really make a difference to anybody else other than us that we were trying to get all that done. In the meantime, we were having to do a little bit more fundraising and figure out how we were gonna ultimately sell and market what we were doing, start building some relationships with some larger enterprise-level clients, and moving on from there. And so, the second half of the year was really focused on that, and now that we’re in 2016, as I mentioned, we’re pulling back on the development just a little bit and really pushing forward on the sales and marketing. [spp-timestamp time=”26:43″] Ron Gaver: So, your beta phase started in January of 2015. When did you come out of beta? 26:48 Tim Sinclair: I really just call it all of 2015. I think it was the second week of December we officially started charging for the premium version of RingR, but the bulk of last year was our beta. [spp-timestamp time=”26:59″] Ron Gaver: And now, you’re out of beta, and you’re ramping development down and marketing up? [spp-timestamp time=”27:04″] Tim Sinclair: Yeah, that’s fair. We’re obviously going to support what we’re doing and continue to try to refine the products we have in addition to desktop and conference calling, which are coming soon, but beyond that, yeah, our focus is really to be on, “Okay, we’re going to share this.” We’ve got an affiliate program that just started. We’ve got some content marketing through e-mail and a blog that’s gonna come soon with some heavy hitters in the podcast and broadcast space providing content for us that we think’s valuable to anybody, not just RingR users. And then obviously, we’ll be exploring SEO and social media and some other places like that to really try to get the brand out there, and then the other (I guess) … 25% of that is going after the enterprise clients who can use us in larger environments, and we think the sum total of all that should be pretty successful. [spp-timestamp time=”27:49″] Ron Gaver: You’ve got a great story about how things just fell into place. Many things happened at just the right time. You found the right developers. You found an angel investor and got money in less than a week. You quit your job and started with Ocean without missing a day of work. It’s just a great story, but there must have been some difficulties along the way. What kind of difficult things did you have to overcome? What kind of bumps were in the road, perhaps bumps you never even imagined you would have to contend with? [spp-timestamp time=”28:19″] Tim Sinclair: Yeah, we’ve hinted at some of them. I mean certainly, driving to Cincinnati with 88 cents in the bank account was a difficulty that I had to overcome mentally as much as anything, and just going: “This is the right thing and we’re going to keep pushing forward, even though it seems like we don’t have any resources to pull it off.” But from a more, I guess, tangible perspective, I’ve struggled at times with everything-takes-longer-than-it-takes-and-costs-more-than-it-costs, and that’s no one’s individual fault, but when you’re reliant on Apple and their operating systems or Android and their operating systems, they make changes without telling anybody, and then they launch them. Then it’s catch-up for everybody trying to figure out, “Oh what do we need to change within our app to make this function on the new OS?” We’re not doing Angry Birds or Candy Crush here. This is a very sophisticated app that’s doing multiple things in the background, and when one little thing changes, it could break the whole thing. And so that’s been a frustration, to go: “Man, we just thought we put the finishing touches on this, and then there’s a change that’s caused a number of other issues for us that we’ve got to go in and fix.” And rather than spend time on development or creating something new, we’re spending time fixing something that we didn’t think we’d have to fix, and so that’s been a sore spot for us. It’s nobody’s fault. It’s how the whole system works, but it’s certainly something that I didn’t ever really think about. It’s like once you create it and you create it right, it’s done, right? Well, in this space, that’s not necessarily the case. [spp-timestamp time=”29:41″] Ron Gaver: Could we talk a little bit about the infrastructure that makes RingR work, the things going on behind the scenes? We’ve talked about the front-end, of course, being an iPhone or an Android phone and later on something on a desktop that allows somebody to connect by clicking a link, but what’s doing the heavy lifting behind the scenes? [spp-timestamp time=”30:00″] Tim Sinclair: We have some proprietary software that’s having to do the merging of the audio once it gets to the Amazon servers that everything runs on. We have sets where the audio is merging. We have servers that are connecting the VoIP call. We’ve got servers that are doing backup copies of everybody’s audio so that it lives there. We’ve got a number of things, sort of, running in the background that nobody sees, thankfully not even me most of the time. Not being the technical guy, I don’t want to have to worry about that. But we’ve tried to set a very, very high level for security in terms of protecting audio and the ways people are able to access it. But we do have multiple systems running multiple servers. Again, they’re all Amazon—they’re AWS stuff, and that’s where pretty much everything lives. [spp-timestamp time=”30:46″] Ron Gaver: So, you’ve got everything running on Amazon web services. How is it scaling with you, and how easy is it to scale? [spp-timestamp time=”30:52″] Tim Sinclair: Thankfully, it’s pretty easy, and Kris and Dan have done a good job of working with Amazon and saying: “Okay we’re going to pay for certain nodes that we know we have to have all the time, and then we’re gonna reserve some at a much lesser cost so that when we do have high peak times—of a whole bunch of calls happening at the same time or being merged at the same time—that we can handle it without really any glitches.” So, you pay a lot less for the reservations of stuff you might use, and then when you use it, it’s there for you to use, but if you’re not, you’re not paying for all the data. So, it’s been fantastic, and we’ve really been thrilled with how that’s worked so far. [We’ve] had zero glitches with them, which is great, and we don’t see any reason to change that, for sure in the near future. [spp-timestamp time=”31:40″] Ron Gaver: You seem to have a very high opinion of AWS. [spp-timestamp time=”31:42″] Tim Sinclair: Absolutely. [spp-timestamp time=”31:43″] Ron Gaver: And you have found them very easy to work with? [spp-timestamp time=”31:46″] Tim Sinclair: We have. They’ve been great. In fact, for a lot of startups that are involved with accelerators specifically, Amazon has a program that they offer through the accelerators, which would give you a couple of years, and about (I think it’s) $10,000 in credit to use their stuff. And of course, they’re hoping that once you do, it’ll be too much of a pain to change, and you’ll just stay with them and start paying them, which is clearly what we’re going to do, so it worked. But certainly, in the early days of a startup, to be able to save a whole bunch of money on server cost is huge, and so through the end of 2016, we still won’t have incurred really any costs from Amazon, and they provide tech support, and we’ve had a few little things here and there we’ve had to pay for, but in general, the actual usage of their servers hasn’t cost us anything yet, and that’s, of course, been really helpful. [spp-timestamp time=”32:31″] Ron Gaver: What’s the name of the program that allows you to do that with Amazon? [spp-timestamp time=”32:34″] Tim Sinclair: You know, I wish I had that in front of me, and I’m sure there is a name for it, but it was offered through the accelerator we were with, and so I believe that to have access to that you have to be part of an accelerator program in order to get it. [spp-timestamp time=”32:49″] Ron Gaver: Alright. As far as their customer service and the ability to call them up and get advice or to work with them to debug a system—you probably didn’t do that as much as the other guys did, but you’ve certainly heard anecdotally how that’s gone. Have the experiences been good for them? I’m assuming they have been since you have such a high opinion of AWS. [spp-timestamp time=”33:09″] Tim Sinclair: Yeah, I do, and I take a lot of that energy and conviction from my guys who do have to deal with them on a regular basis. Thankfully, we haven’t had a whole lot, certainly negative, that we’ve had to go to them about. So it’s just been, “Hey, how do we better configure this? Can we do X, Y, or Z?” And they’ve been helpful every time. [spp-timestamp time=”33:25″] Ron Gaver: You, as the CEO, have to wear multiple hats. What are the hats that you have to wear, what do you like doing most, and what do you like doing least? [spp-timestamp time=”33:33″] Tim Sinclair: Well it started out, any startup is about dreaming and innovation and design and creation, and that’s really my wheelhouse. It always has been, and so that phase was a blast for me. Whether it was the idea that was rolling around my head for those couple of years or once we even hit the ground running, all the meetings were, “How can we create something that people are going to love?” And then all of a sudden, you launch a product, and thankfully, we were well-received, and a lot of people were trying us out, and I realized, literally within an hour after launching on the App Store, “Oh no, we have to support this. You know, people are gonna have questions or comments or concerns or criticism or whatever, and we have to not only just dream and design, but now we have to support what it is we’ve designed.” And so that felt like I was going from one full-time job to two, and then at the end of 2015, when we actually launched the paid model, it was that realization all over again. It’s like, “Ah, we’re designing and supporting, and now we have to sell it.” Because there’s something to sell. Before, people were just using it for free, and now there is a part of this that needs to be sold. Certainly, our investors like to see when we actually have money coming through the doors, and so we’ve got to sell this thing, too. And for me, I love the design and dreaming phase. The selling would probably be a somewhat distant second, and the support would definitely be third. I say that with an asterisk, though, because I’ve really tried to challenge myself to go, “I think this support and sales thing kinda goes hand-in-hand. I want to leave every person who contacts us with a really positive experience.” And I’ve tried to kind of make it my mission to overwhelm them with generosity or support or friendliness, or put my phone number out there and try to respond to people at midnight if an e-mail comes through and none of my other guys are able to get it. I’ll respond. I’ll try to help. I mean, I know what it’s like. I’ve been a broadcaster who always wants a good product, and if something doesn’t work, that’s really frustrating and can make me look bad. And so I feel like I can feel what many of our users feel when they’re having a frustration or a problem. And so, I try to use that to market because when you treat people beyond what they expect, they tend to share that with friends and family, and I’d much rather have podcasters or broadcasters who love us be sharing RingR rather than me trying to beat down bushes and beat our own drum and say, “Hey, look how great we are.” It’s way better if other people do that for us. [spp-timestamp time=”35:57″] Ron Gaver: When you realized that you had to go into the support mode, what was your instant support team? Was it just the four of you again? [spp-timestamp time=”36:04″] Tim Sinclair: Yeah, it really was. It was kind of an all-hands-on-deck. Whoever got to it first [would] respond and do their best to help, and then if we had to bring other people in, we could certainly do that. But there’s nothing automated at the moment. I think that’s pretty obviously what it is, and I would rather have someone, 15 minutes after they send an e-mail, get something back from me or Chad or whoever that says, “Hey, got your request; we’re on it, and we’ll be back to you real soon,” rather than have it sit there for 24 hours, and then someone respond at that point. When it comes through, we try to get to it as soon as we can, and that’ll have to change as we grow. I understand that, but right now we’re a small operation. We want to seem as if we’re a big operation but function as if we’re a small one. [spp-timestamp time=”36:47″] Ron Gaver: There’s a lot to be said for the user’s experience when the user calls support, gets one of the developers on the line, and the developer knows exactly what’s going on down in the intricate details and isn’t somebody who’s just taking a trouble ticket, logging it in, and letting them know that somebody from level two will get back to them. [spp-timestamp time=”37:05″] Tim Sinclair: Yeah, absolutely. I remember, probably 5 to 7 years ago, I was using a site to store some audio for my radio show and had a question or a comment, and I sent an e-mail to the company saying, “Hey, here’s a thought.” And later that day, I got an e-mail back from the CEO. Now, he may have been their only employee. I don’t know how big they were. They weren’t very big; I do know that. [spp-timestamp time=”37:58″] Ron Gaver: So, now you’re transitioning into the third job you described, which is salesman, marketer, chief marketing officer, or whatever you want to call it. What do you see as the big challenges ahead of you as you now try to get the business up and running and expand your user base? [spp-timestamp time=”38:14″] Tim Sinclair: Yeah, I think the big challenge was finding the right person or team to bring on who were experienced in doing this kind of thing—and scaling startups—to find the resources to do that because, you know, we don’t have all the money in the world to throw at big-name person or big-name firm or big-name team to come on and work with a little startup. I think that that hire, that decision, is probably one of the biggest ones—at least to date—that I’ve made, and thanks to our time in Cincinnati, we came across one person specifically and her team who has done this very successfully for a number of startups and even larger companies. So for us, it’s really, “Is this the right hire?” And I believe it to be, but we’ll find out. And then what is the plan? We’re gonna do a lot of testing of various ways of sharing what we do, seeing what the response is, and then building a plan based on that response. And so we have to find where our audience is, what motivates them—to not only sign up but eventually become a premium user—and causes them to fall in love with us and then share us with their friends and their audiences. And thankfully, our audience is mainly podcasters and broadcasters who talk to other podcasters and broadcasters, and so we’re excited about our affiliate program and allowing people to share us and make a little money in the process, but that’s gonna be a long, arduous 4-to-6 months to find out what’s working and what’s not, and then developing a plan from there on out to move forward. [spp-timestamp time=”39:44″] Ron Gaver: You’re also fortunate that podcasters and broadcasters just like to talk. [spp-timestamp time=”39:48″] Tim Sinclair: It’s true. It’s a very good thing for us. [spp-timestamp time=”39:50″] Ron Gaver: So, you found a marketing partner. Is it safe to say it’s a marketing team—this hire that you made? [spp-timestamp time=”40:28″] Ron Gaver: Alright. So, you’ve got a certain amount of dilution going on from taking on extra partners, but you still have a good feeling about what you’ve managed to retain? [spp-timestamp time=”40:36″] Tim Sinclair: Absolutely. Yeah, I’m a solo founder, for one thing, so that’s helpful for me, personally, and while I am concerned about the percentage I have, to me it’s just like fundraising. Yes, it’s being diluted, but to go out and raise the same amount of money, it’s the same difference, so whether I raise a million dollars and then spend that on a whole bunch of employees, or whether I have those employees go, “We know you don’t have the cash right now, but we’re willing to put in x-number of dollars’ worth of work,” and it all adds up to a million dollars. It’s no different. And so, the work has to get done one way or the other, and I like having people working for me, and working with me, who have some skin in the game, and who know that their work isn’t just a paycheck. It isn’t just money that’s being deposited at the first of the month. It’s long-term investment, and it’s a chance for them to really be a part of something significant and part of something big, and their work and their results directly affect their ultimate pay because it’s tied to our equity and not only to a paycheck. [spp-timestamp time=”41:41″] Ron Gaver: It certainly makes for a more motivated team. [spp-timestamp time=”41:44″] Tim Sinclair: Correct. [spp-timestamp time=”41:45″] Ron Gaver: As we start to wrap this up, is there anything, perhaps, that you would like to discuss that I haven’t brought up yet? Maybe a question you wish I had asked? [spp-timestamp time=”41:53″] Tim Sinclair: No, you’ve been very thorough, and I appreciate that. I think, certainly, just sharing how to get in touch with us and how to get a hold of our products would be important, but beyond that, I think we’ve hit the highs and lows for the most part of the story. [spp-timestamp time=”42:05″] Ron Gaver: Alright, so how do we get in touch with you? [spp-timestamp time=”42:07″] Tim Sinclair: The website is probably the first place to go. That’s ringr.com, R-i-n-g-R dot com, no E in RingR. You can download the app for free for your iPhone, iPad, or Android device through the App Store or Google Play, and we are on Twitter and Facebook. Our Twitter handle is just RingR_US. [spp-timestamp time=”42:27″] Ron Gaver: And on Facebook? [spp-timestamp time=”42:29″] Tim Sinclair: Facebook, just search RingR, and you will find us. I believe it’s /ringrapp, Facebook/ringrapp, if you’re looking for the actual address, but searching RingR should do it too. [spp-timestamp time=”42:38″] Ron Gaver: And I’ll put the links to all of those in the show notes and make sure that everyone has ready access to those as well. In conclusion, I’m always curious how people have grown and developed throughout their careers and lives. Is there anything you can think of that has had a profound impact on you that you could recommend to someone? Something that they could take away and say, “You know, maybe I’ll check that out and see if it works for me?” It could be a book, a person, a conference, just about anything. [spp-timestamp time=”43:06″] Tim Sinclair: Yeah, there’s a book I’ve mentioned to several others called Love Does. It’s by a guy by the name of Bob Goff, and it’s not a business book at all, but it’s simply the story of how Bob loves other people in extraordinary ways, and ways that culture and society have told us aren’t reasonable, aren’t okay, aren’t whatever, but they’re remarkable. And I’ve really tried to take to heart a lot of what he says in there with our customers and say: “I want to be remarkable. I want to be different. I want to, if not love, certainly care for and care about them in ways that they don’t expect.” Because when something happens, surprise, I believe, is the key to most every emotion. Great horror movies are great because of suspense and surprise. Great comedians—it’s all about timing and saying something at a time that nobody expected. They don’t see it coming. They’re surprised and—boom—all of a sudden they’re laughing out loud because they didn’t see that coming. And for us—I think—when we surprise a customer, a user, with a great experience or with something that we say or that we do, not only is it a good feeling for them and a good experience for them (and it endears them to RingR), but it’s something they’re more likely to share with other people, and like I said earlier, that’s going to be our best marketing ever. And so, that’s why I love looking at Twitter and finding people who are not talking to us but talking to their friends about us. “And man, just found this! This is awesome!” or “Just recorded my first RingR interview—sounds unbelievable! How do they do that?” Those kinds of things we want to continue to increase, and whether that’s an interaction with me or our team or just an interaction with the product, we want to consistently leave people surprised and feeling like they’ve gotten more than they’ve bargained for; it’s the under-promise, over-deliver idea. And that book, Love Does, really was a great encouragement to me on the kind of impact that could have in a life. [spp-timestamp time=”45:05″] Ron Gaver: That’s a good one: just to surprise people. I think that’s an excellent recommendation. Alright, Tim. Thank you very much for the interview. Thank you for your time. I appreciate it very much. [spp-timestamp time=”45:14″] Tim Sinclair: Oh my pleasure, Ron. It’s good to be with you, and if we can ever do it again, please let me know. If ever I can do anything to help, I’m happy to do so for you and everybody else. Tim@ringr.com is my e-mail address if you want to e-mail me directly. [spp-timestamp time=”45:40″] Ron Gaver: Thanks for listening to the SaaS Business podcast. I would like to remind you of a few things. Please don’t forget about the resources available to you on the website. Sign up there to receive your free download and updates, and go to saasbusinesspodcast.com followed by a forward slash and the episode number to find the episode show notes. Finally, please leave a five-star rating on iTunes, Stitcher, or wherever you listen to podcasts if you find this podcast to be valuable. This has been episode 15 of the SaaS Business Podcast, an interview with Tim Sinclair. Thank you again for listening. Don’t miss an update or episode!